The ever-expanding Motor Verso F1 2018 season summary now has my view on the Monaco Grand Prix added. In typical Monaco style there wasn't much racing in the latest Grand Prix - but also in typical Monaco style there was a magnificent drive to victory. 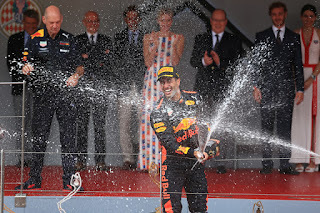 This time in Daniel Ricciardo overcoming adversity and achieving redemption.